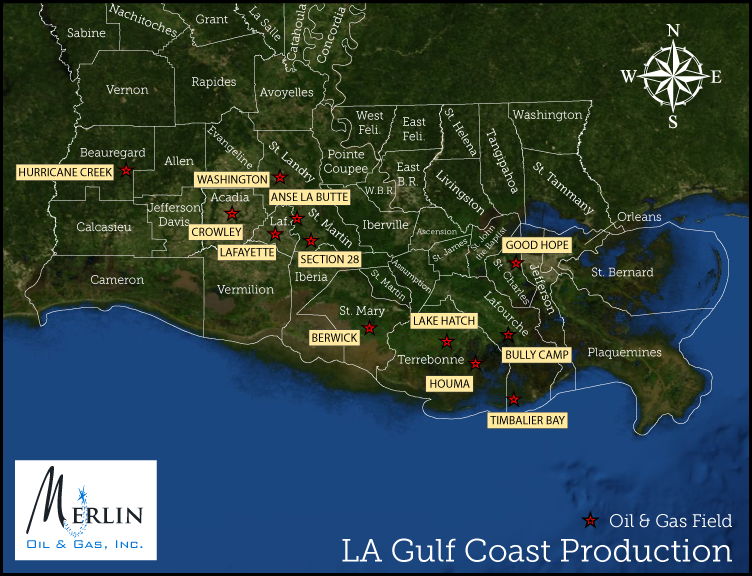 Merlin has begun a joint venture with its sister company, Encino Resources, LLC. Encino, AKA (“mighty oak”) is represented Mr. Mauro Garcia who handles Landowner Relations for Encino. Mr. Garcia is a lifetime native of South Texas and enjoys a strong friendship with some of the largest ranches and respected families in the area. Mr. Michael Lynch-Blosse is a Petroleum Geologist who has worked this area for many years. Michael began his career with Gulf Oil as an exploration geologist in South Texas. Mauro and Michael have been putting together large area projects in South Texas for the past 6 years. 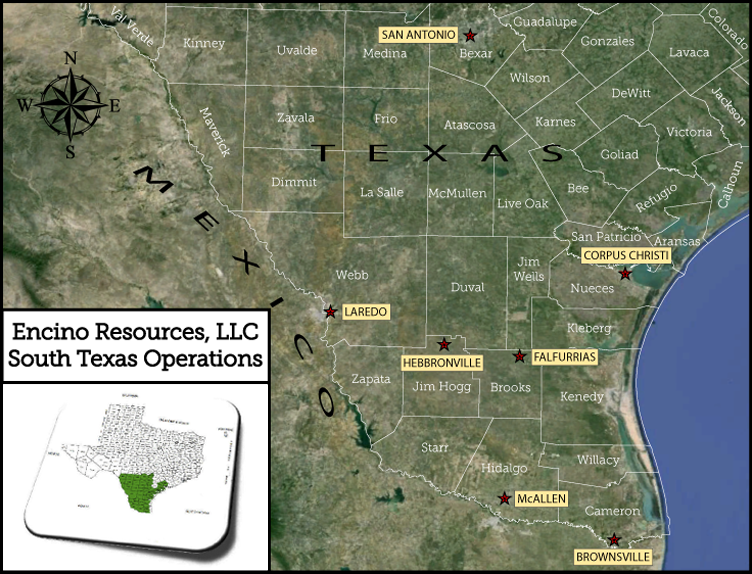 Encino is focused on conventional opportunities primarily “outside” of the Eagleford Shale especially the window of shallow oil and shallow natural gas. Together with Merlin, Encino is actively putting together drilling projects in South Texas.